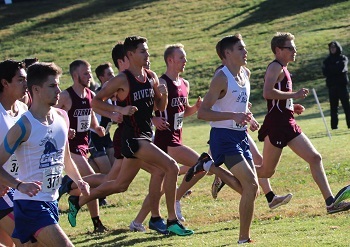 CofO men’s and women’s cross country teams competed in the St. Louis Fall Classic, hosted by St. Louis College of Pharmacy, over the weekend. It was a perfect morning for running, as the weather was sunny and 45-50 degrees. The Lady Bobcats put up their best finish of the season thus far, placing 5th out of 12 teams with a team time of 1:44.22. 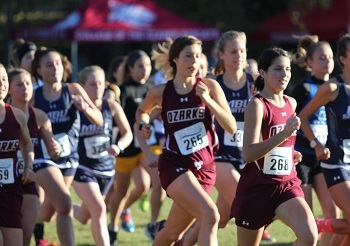 Two runners finished in the Top 20 out of 99 total runners, as Adeline Holder collected 10th place with a time of 20:08.9, and Bethany Marteney finished 17th at 20:28.7. New personal records were set on the women’s side by Marteney, Naomi Murrell (21:21.3), Aspyn Britt (21:43.7), and Mary Zimmerman (21:44.7). Running their best times for the season were Holder and Duncan. Full results can be found here. The men’s team posted a time of 2:18.28, placing them fourth of 13 teams. 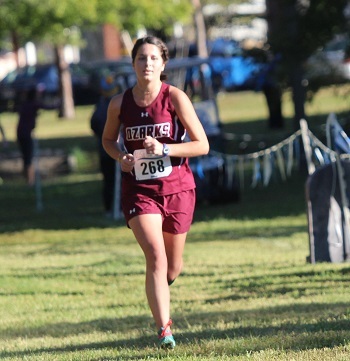 In a race of 110 runners, the Bobcats were led by Sam Baumer, who finished in 4th place at 26:26.6. Two additional Bobcats finished in the Top 20 -- Shane York in 16th (27:26.2) and Garrett Pierce at 18th (27:29.4). Pierce, along with David Byrd and Mason Apperson set personal records, while York tied his personal record, recorded in October of 2016. Baumer, Wesley Moore, and Sam Scaggs posted their season best runs. Full results are available here. Both teams will head to Bettendorf, Iowa for the A.I.I. Conference Meet on November 3rd.